Wed., May 30, 2018, 9:47 a.m.
Emmett school officials have released video of an April 12 incident on a school bus, during which a school bus driver verbally and physically confronted a 9-year-old student. Jennifer Harvey, the mother of the child, believes her son was assaulted — and she reported the incident to police after seeing the video. Emmett Police are investigating. “I don’t care if I hurt you,” the bus driver tells the child as she struggles to pull him out of a bus seat and move him to the front of the bus. The district initially declined a public record request for the video filed by the Statesman on May 21, but on Tuesday morning the district released the video. The video was edited to blur the faces of all those on the bus. Harvey gave her permission to the district to release the video, according to a letter to the Statesman from Superintendent Wayne Rush. An editorial by Bill Manny on May 23 called for a release of the video because both parent and student wanted it to be released. Rush disputes that the child consented. The bus driver resigned within a day or two after the April incident, Rush told the Statesman. Her name has not been released. 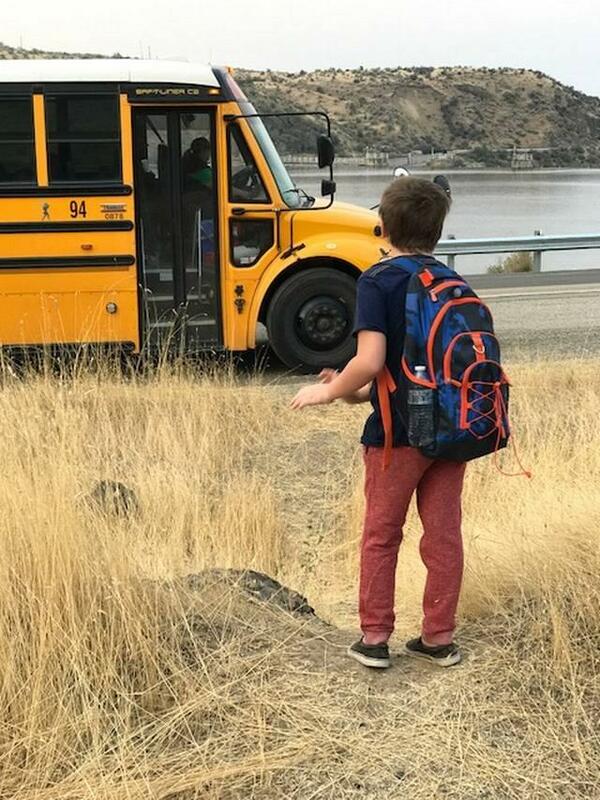 Harvey said the afternoon of the incident she was called down to Shadow Butte Elementary to pick up her son, a third-grader. She described him as agitated and screaming about the bus driver. She said the bus driver called her later to say that her son had used a profane word to address her, was removed from the bus and would be banned from riding for the rest of the year. Harvey said the incident traumatized her son, emotionally and physically. He complained of chest pain afterward, and physicians who assessed him afterward said he had bruised ribs, Harvey said. Published: May 30, 2018, 9:47 a.m.